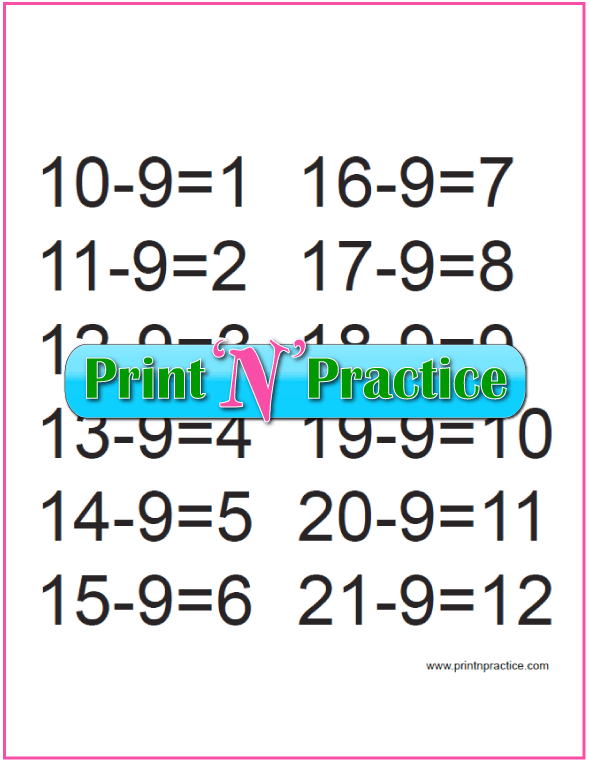 PrintNPractice kindergarten subtraction worksheets cover subtraction practice K-3. 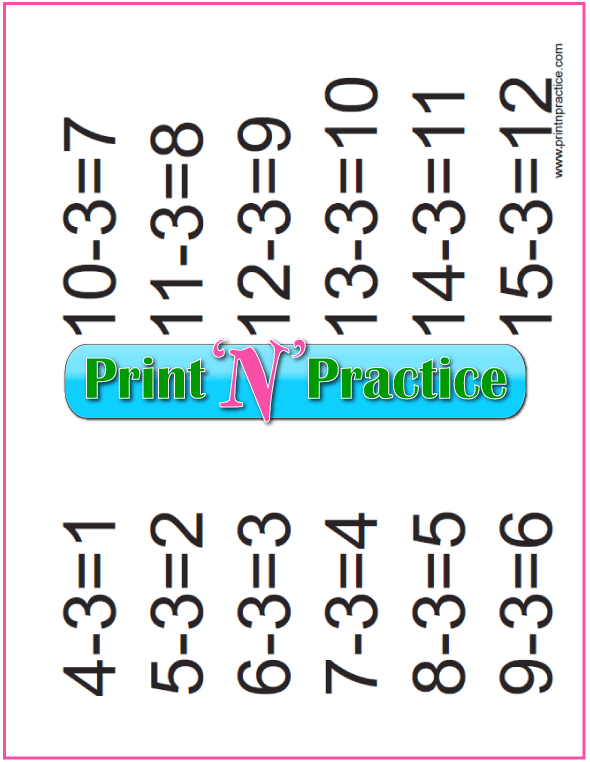 These teach subtraction by offering space to copy the problems three times each. 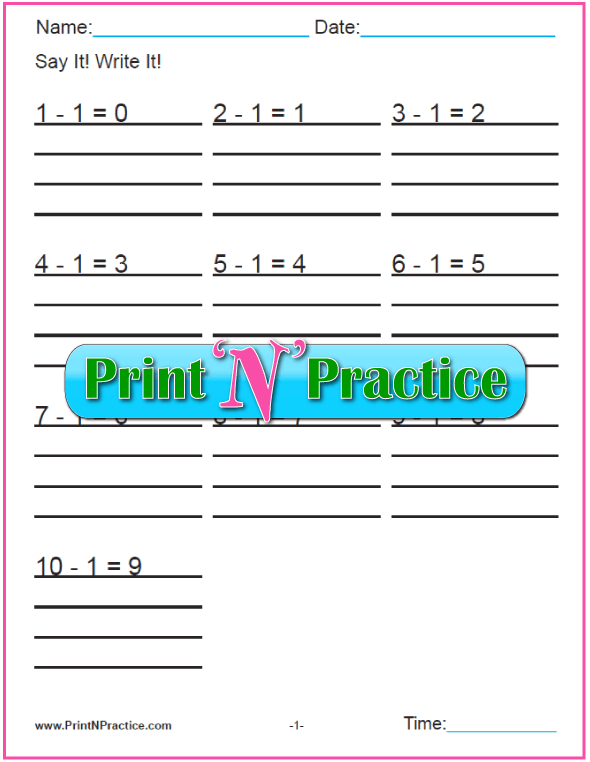 There's enough on this page to teach subtraction through third grade. Review? These are super helpful to review the equations for first through third grade - especially at the start of a new year second grade and following. Some of these charts are classics that you can keep for years. 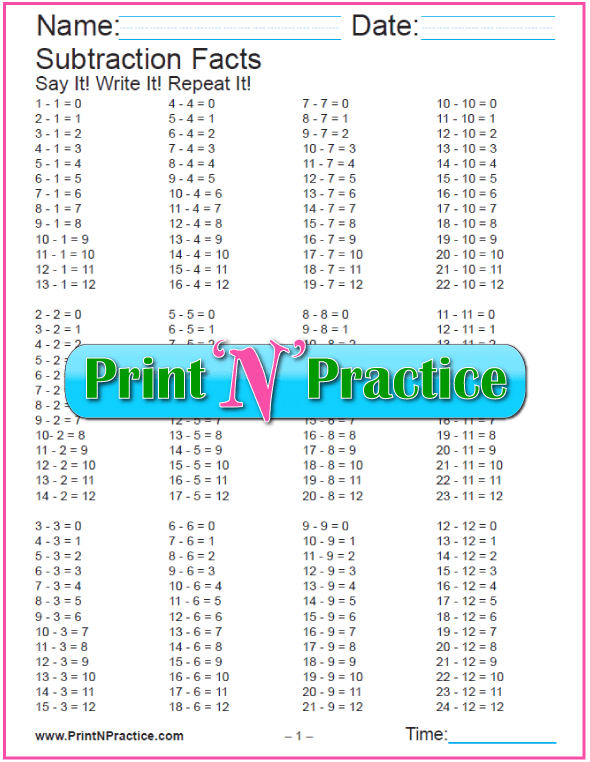 Print them on card stock and keep them in your binder for easy reference. 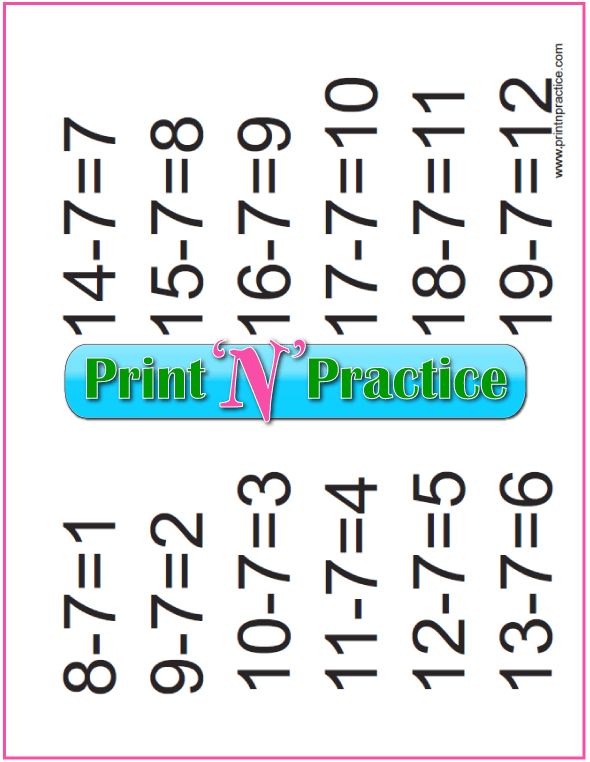 You'll also find subtraction videos and printable subtraction flashcards. Addition and subtraction worksheets for copywork and chart. 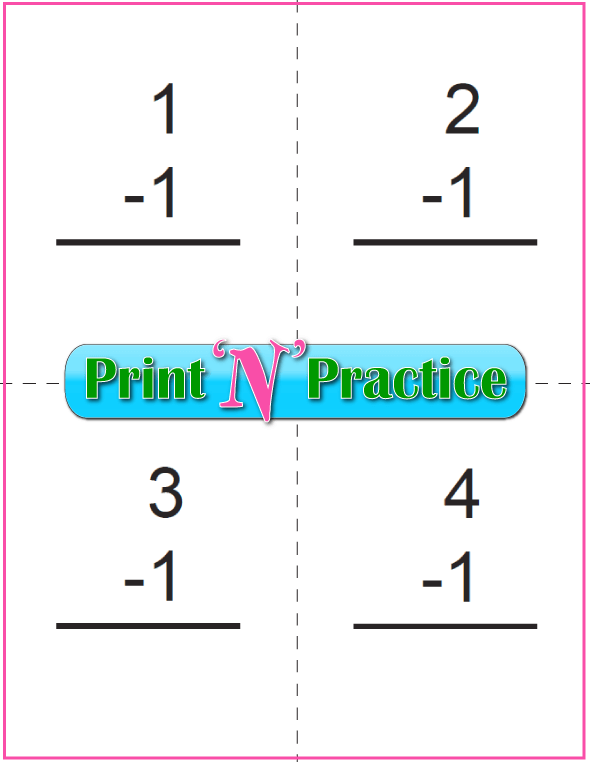 Printable subtraction flash cards for kids. Large subtraction charts. A. 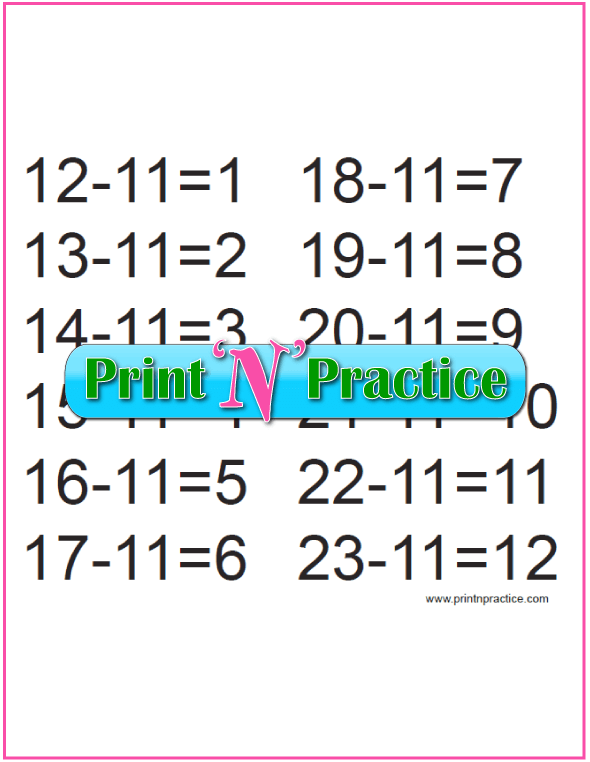 Math Posters B. For Clipboards. My favorite math teacher was my third grade teacher, Mrs. Graves. I remember her reviewing the math facts from large posters with the equations printed black on white. Plain and simple. I know that we did more than that in school, but it is the thing that I remember most. Guess what? Mom and Dad never had to drill the math facts at home. 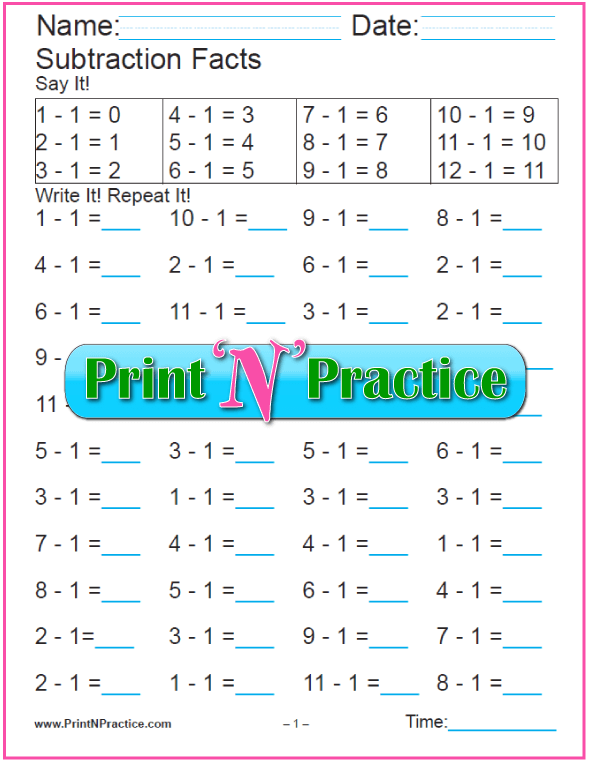 We never had homework and I always did well in math. Check the subtraction worksheets on this page to duplicate what she did. Two of my own children had had just such a teacher. Twice a week she would drill each student with her math flash cards. Each night the children would copy the set that they were studying three times each until they passed the flash card drills. On that night there was no math homework. Yea! I've seen children fly through learning their math facts for all four operations with this approach. Oh! The joy of facility! It's fun to watch their success. The main thing left after learning the Math tables is being able to read well enough to answer word problems and follow directions. 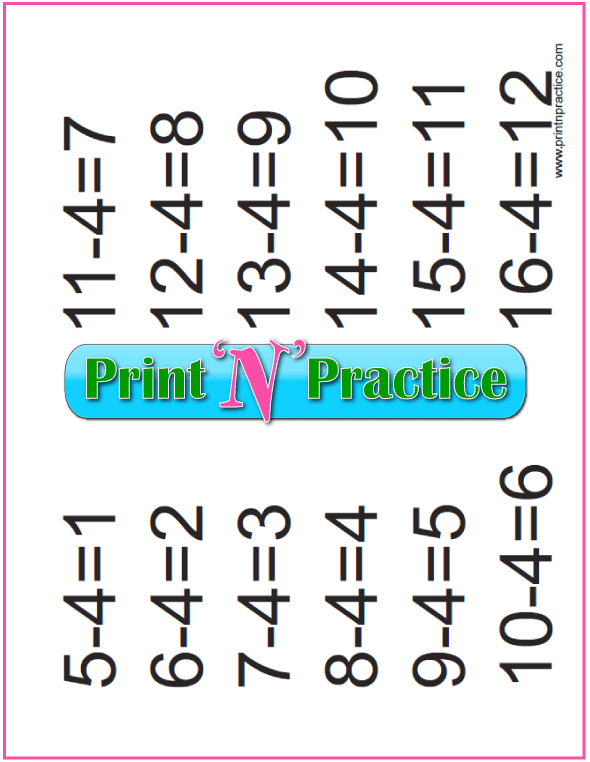 Teaching subtraction with our math flash cards with the practice Math worksheets makes learning a lot less work for children who struggle to learn. 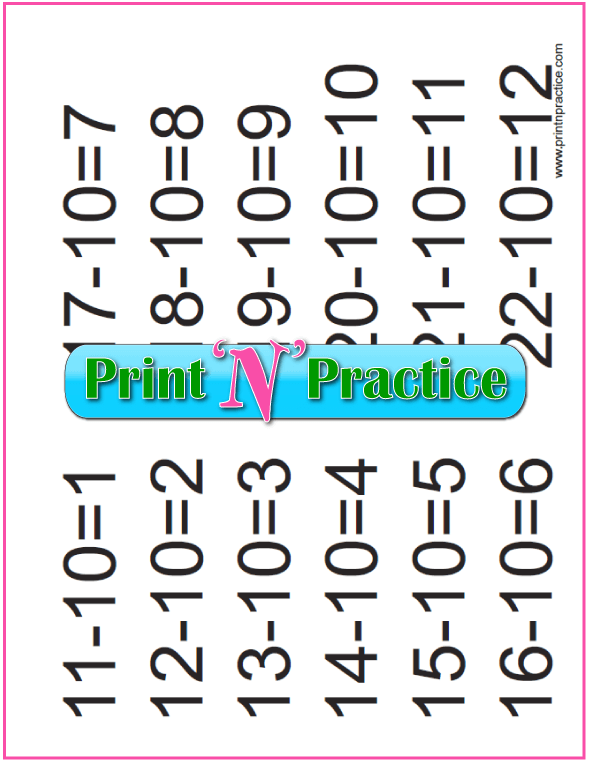 You can give your kids this opportunity with these printables. 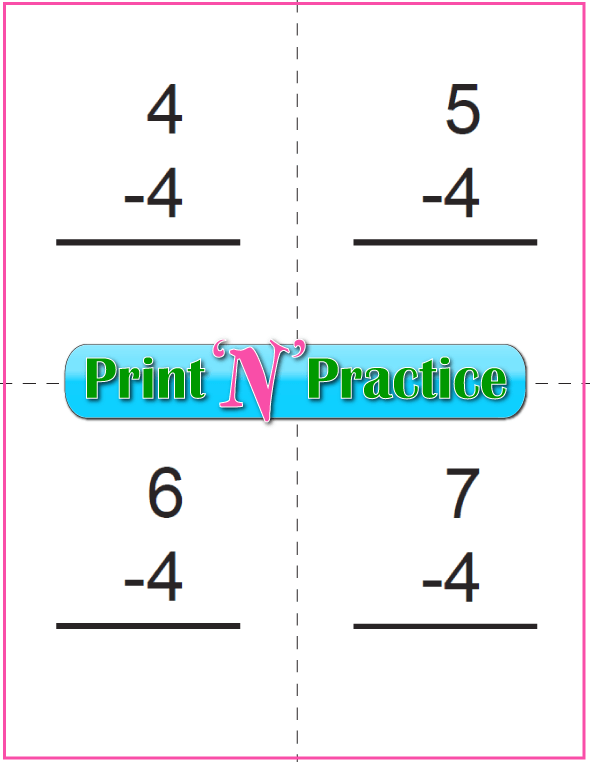 I printed several versions of each table (A, B, C, and 3 below) so that once they'd practiced each and passed a flash card quiz they could move to the next table. 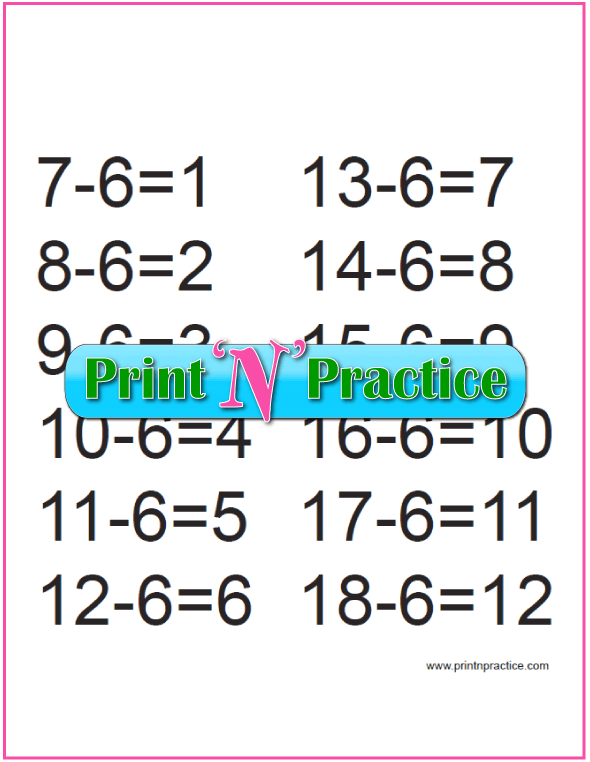 Older children will appreciate number 2 below as these sheets teach addition and subtraction together. Actually, some little children fly through these once they "get" the idea that subtraction is the inverse of addition, the numbers are related. 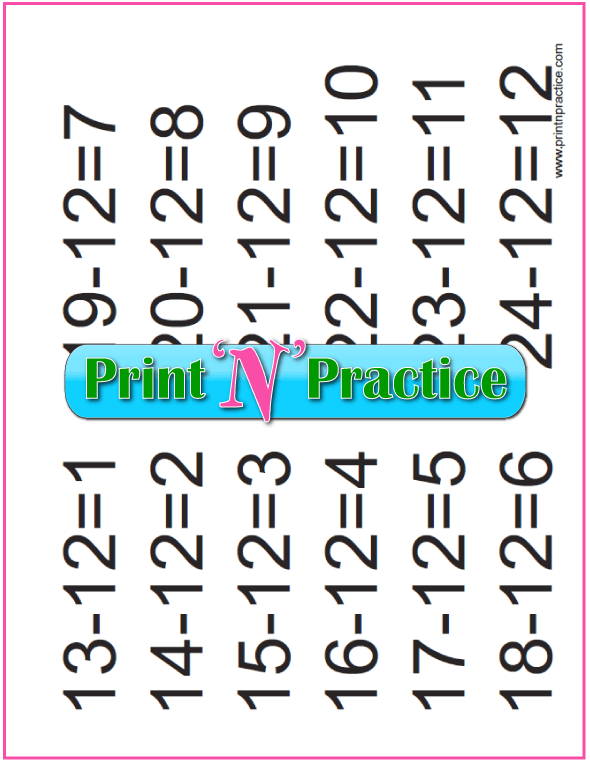 These make subtraction activities quick and fun for half the teaching work. The key is to use repetition. 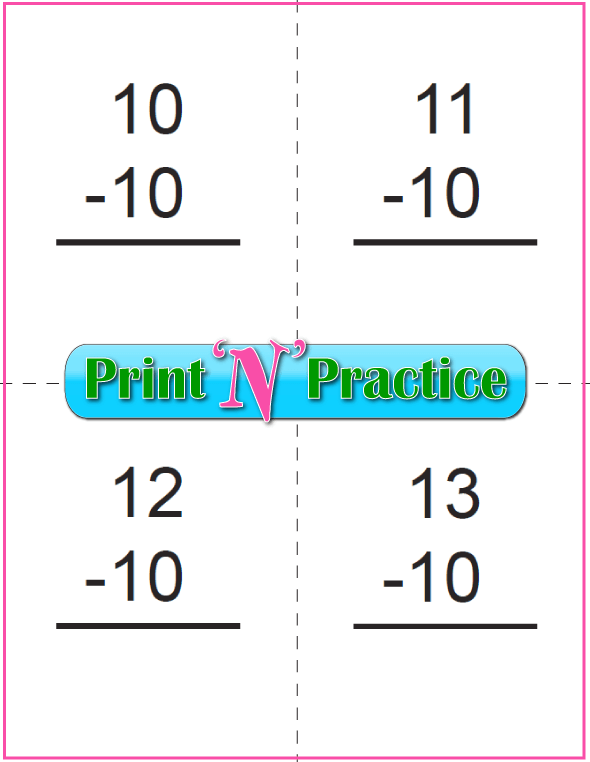 Anytime the wrong answer is given, simply ask the child to repeat you saying the equation with the right answer, and then have your student repeat the right equation and the right answer three times quickly. Then? Move ahead. Varying the exercises also improves retention which is why it is good to use both flash cards and worksheets. When children see, hear, say, and write the equations; they often learn them much faster and retain their knowledge much longer. 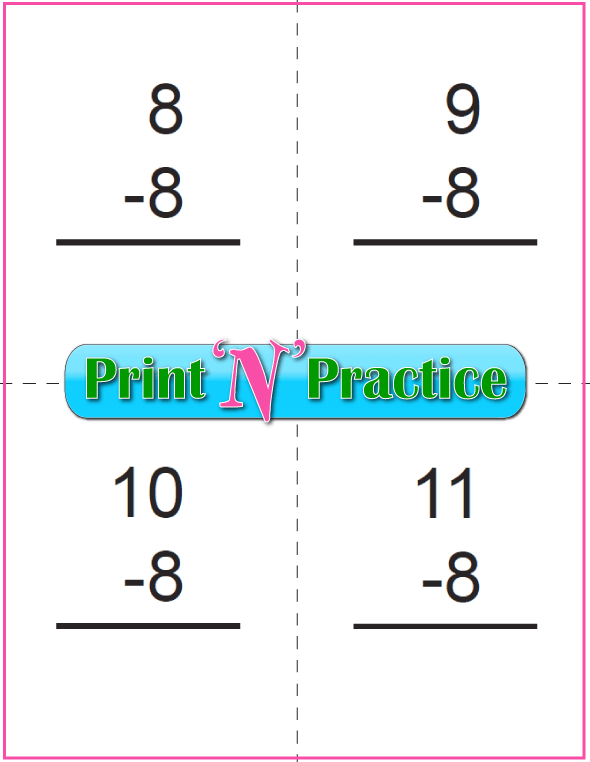 Use our Subtraction practice videos and printable Math flash cards (below) to teach the subtraction facts in kindergarten and first grade or as a review in second and third grade subtraction. 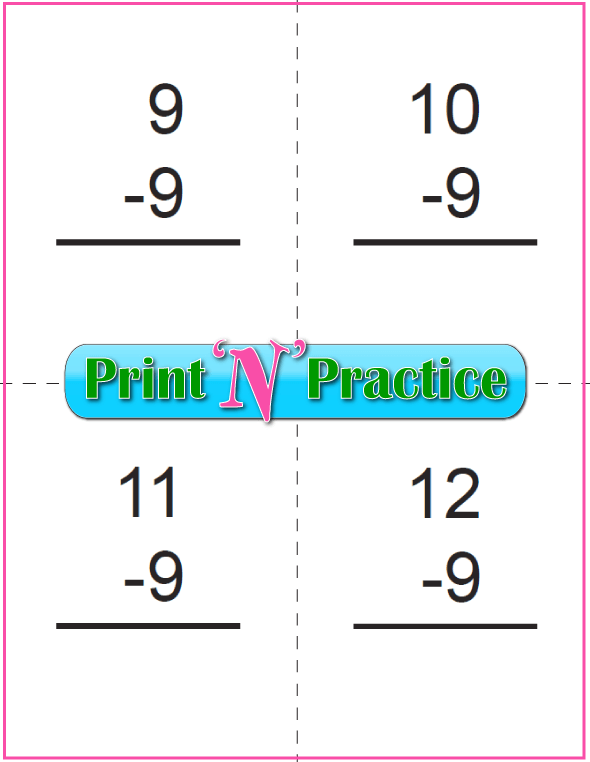 Use our subtraction worksheets to reinforce what you teach. 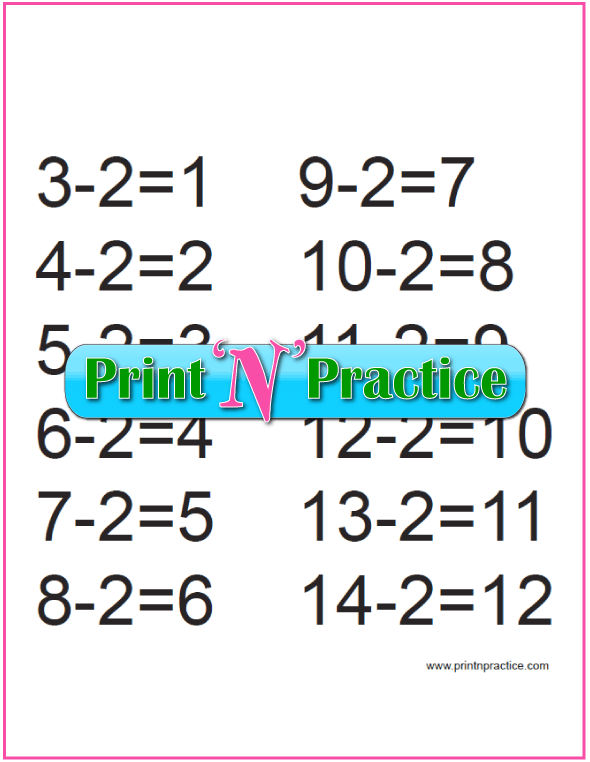 Kids can use these printable worksheets to copy each of the basic subtraction problems, or subtraction equations, and practice them three times each. If the students will say what they write, they will remember the subtraction Math facts better. 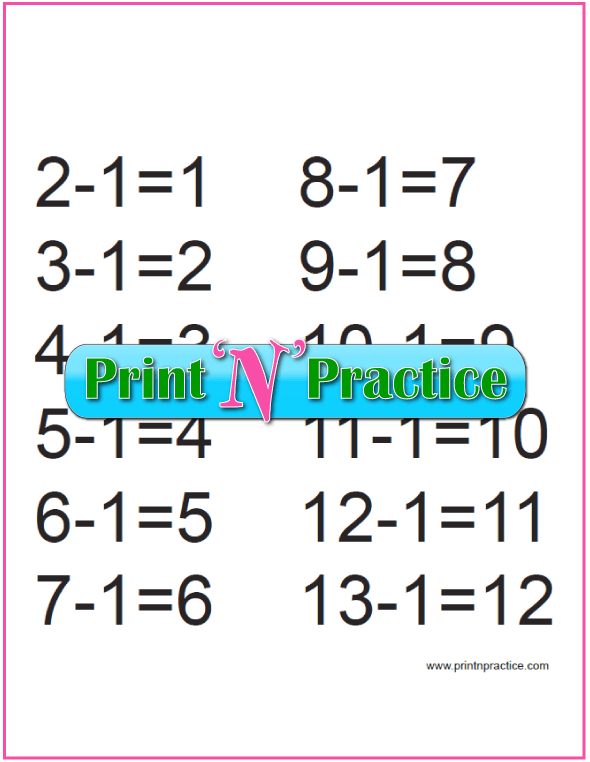 I suggest, after twenty-some years of teaching children, that any time that your kids need to correct their answers they should repeat the equation out loud with the correct answer quickly, three times to help improve their memories. If they copy one of each of these while saying the words for each table, they're likely to be able to test-out of that table after the third page. A. Basic sets and chart. B. 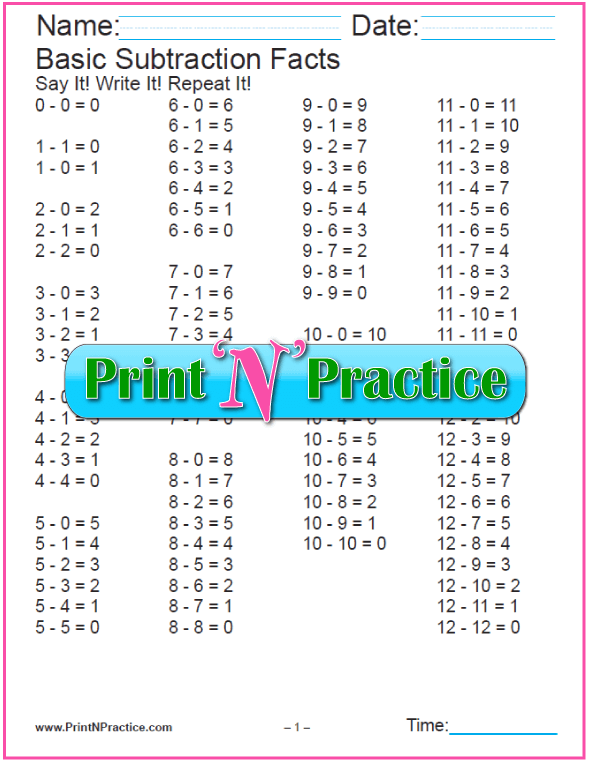 Basic subtraction up through 12 individual sheets. 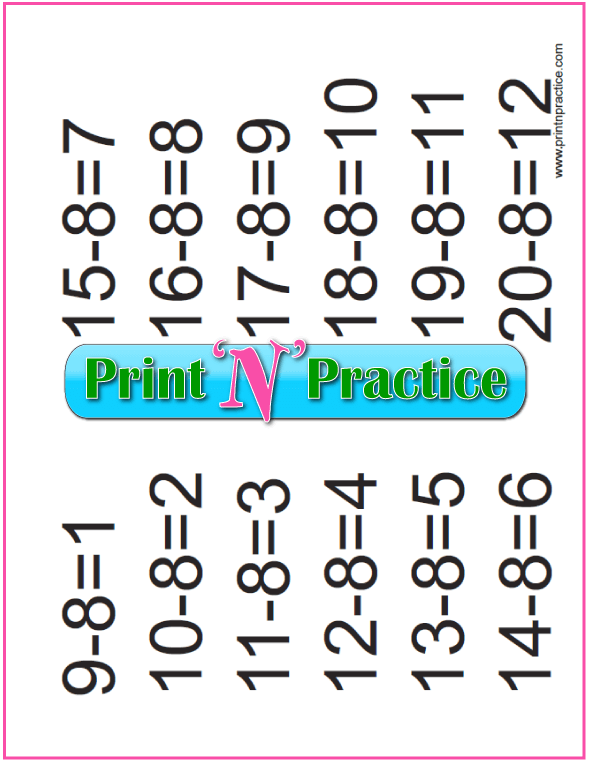 C. Printable subtraction worksheets bundles. 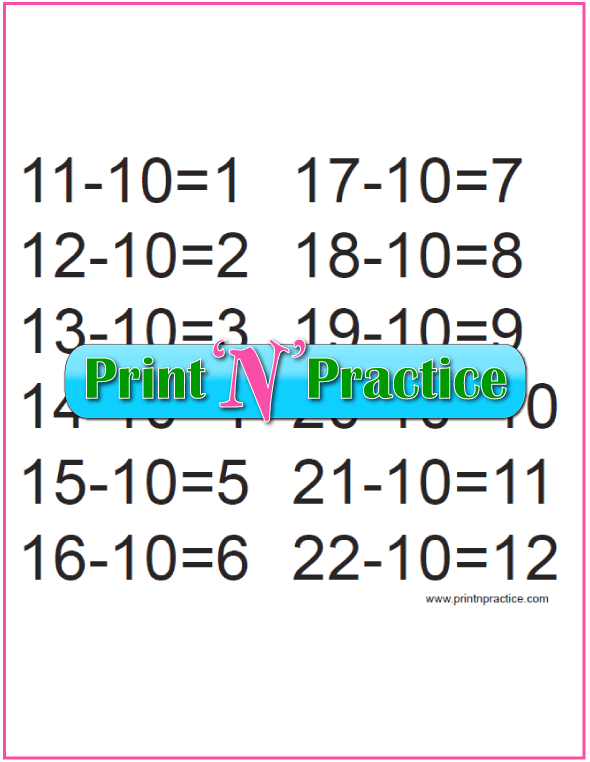 This first sheet has the very basic subtraction facts for reference and memorizing. The next is a set of subtraction worksheets for your student to copy the subtraction equations three times each. The third subtraction chart is for easy reference and can serve as a Math poster. 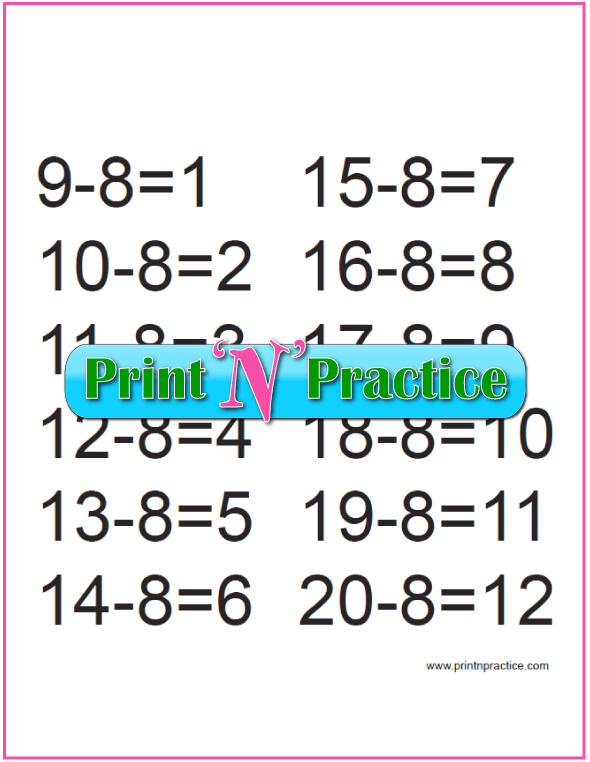 After this section see the nine subtraction pages as individual downloads. 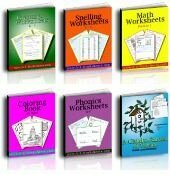 So why are there only nine kindergarten subtraction worksheets in this section? Because the first page has three tables and the second has three combined on the same page. 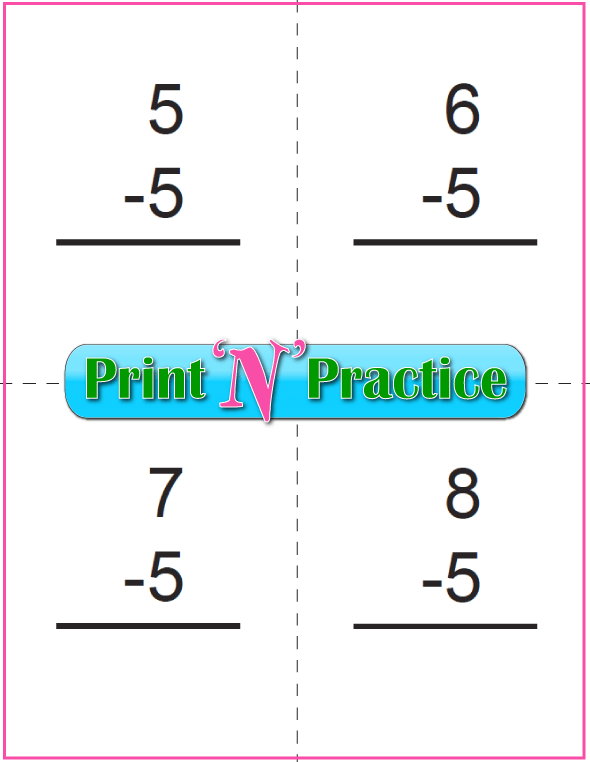 Learning subtraction this way means that there are fewer facts to memorize. 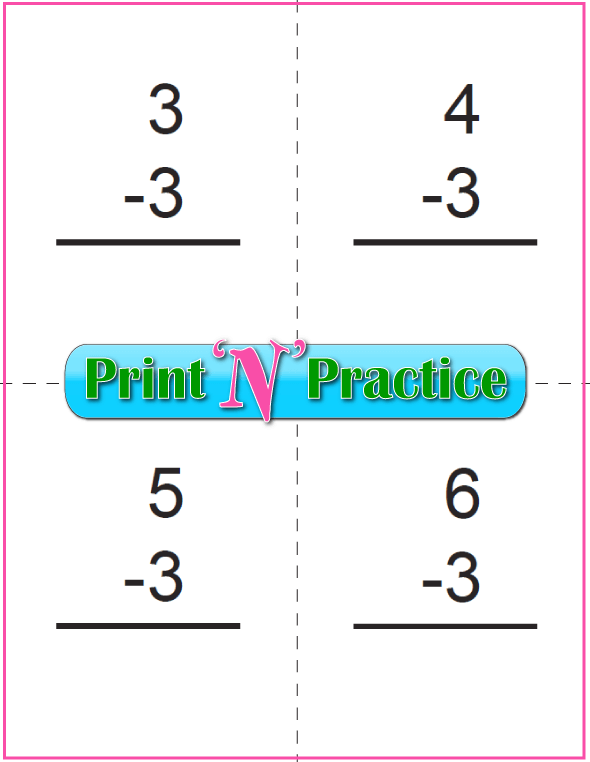 If your kids already know their addition facts, it is likely that they can fly through the subtraction facts if they know how directly related they are. This next set is for a higher level than our kindergarten subtraction worksheets. 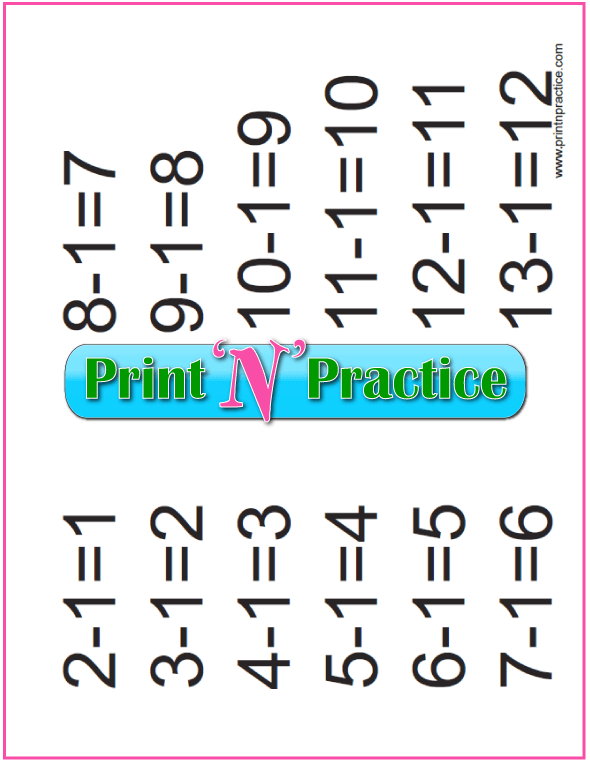 They're super for review of both addition and subtraction together especially in first through third grades. 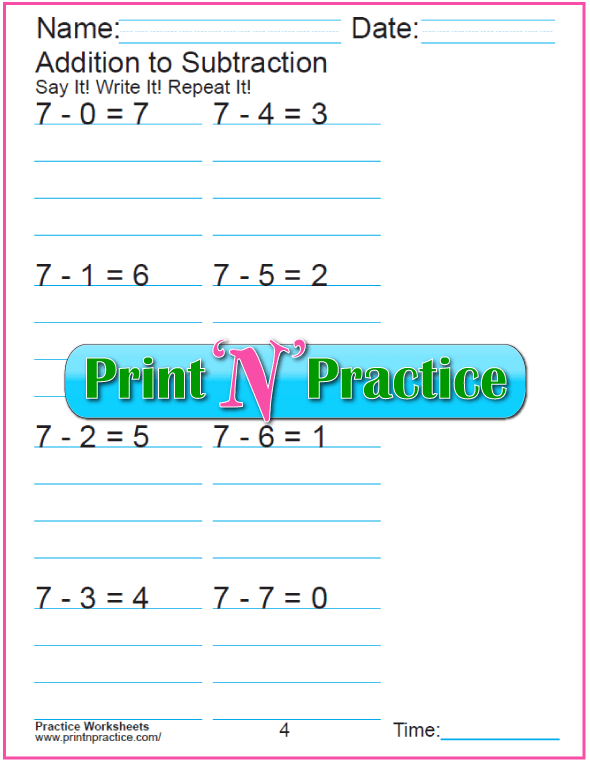 For example: Show that 3 and 4 are 7 is the basis for 7 less 4 are 3. Once you show the inverse relationship, half the class will "get it" with no extra work. Still, it's good to have them practice so they will remember what they've learned. When the equations are combined the association is immediate. 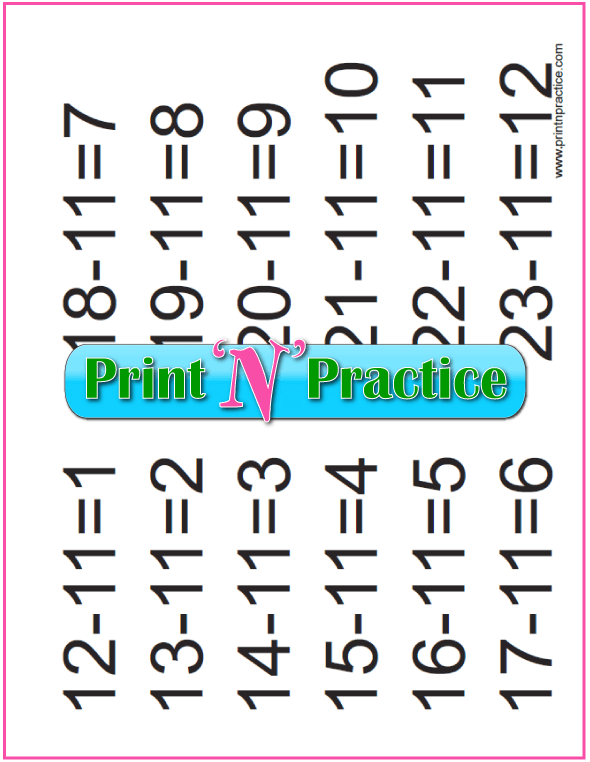 These are great for third grade subtraction to review at the beginning of the school year or after Christmas break. 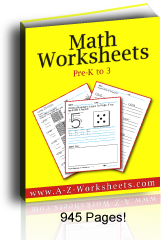 See more worksheets, bundles, and subtraction flash cards below. 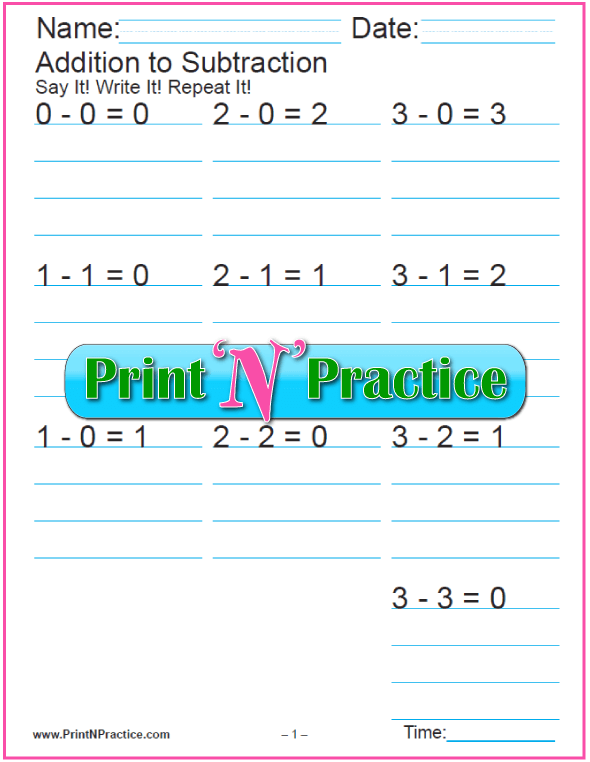 Practice the subtraction table at the top of the page saying each equation out loud three times. Answer the equations at the bottom. Easy! 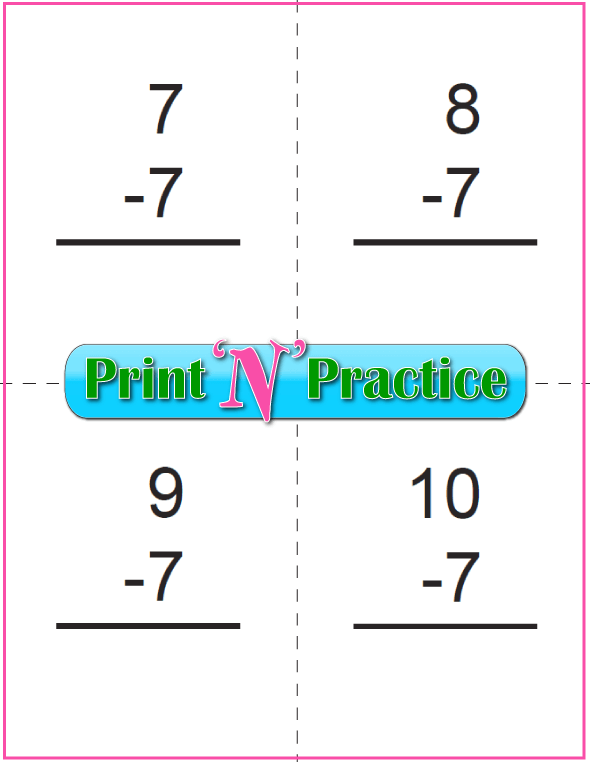 If your kids are overwhelmed with the prospect of learning another table after the icebreaker-discipline needed to learn some of the addition facts, let them know that subtraction is so much easier. They already know most of the numbers! 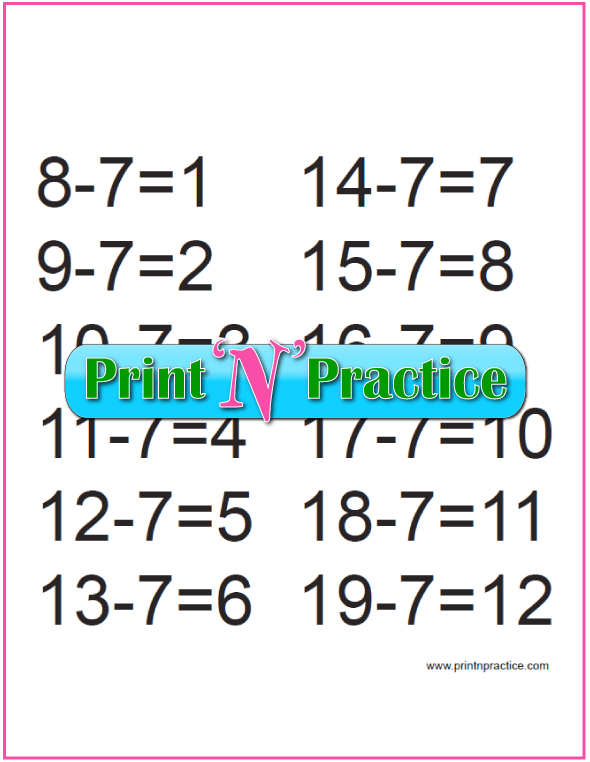 Use these easy worksheets as practice subtraction quizzes. Get ready for the real thing. Practice to build speed. 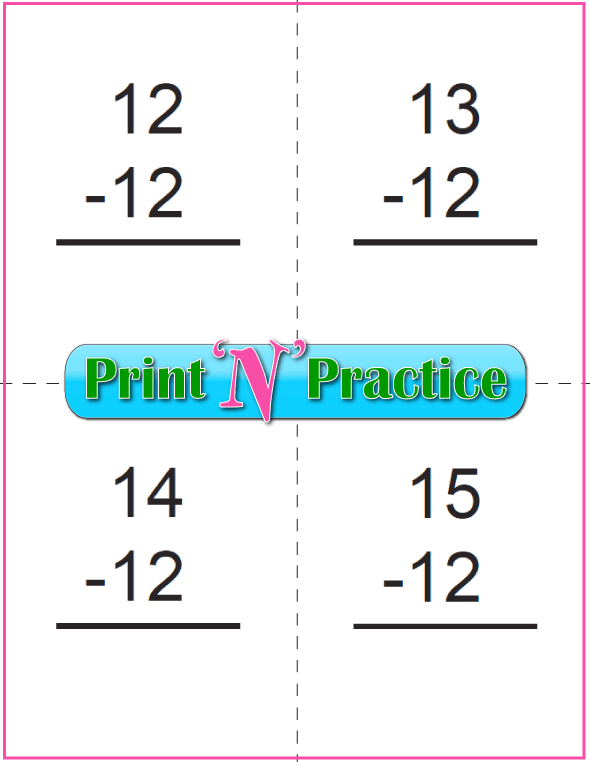 All of our printable Math flash cards have an answer side (to use for learning the facts in order) and a side without the answer (to use for quizzes and speed drills). The equations are in vertical format the way we figure columns. 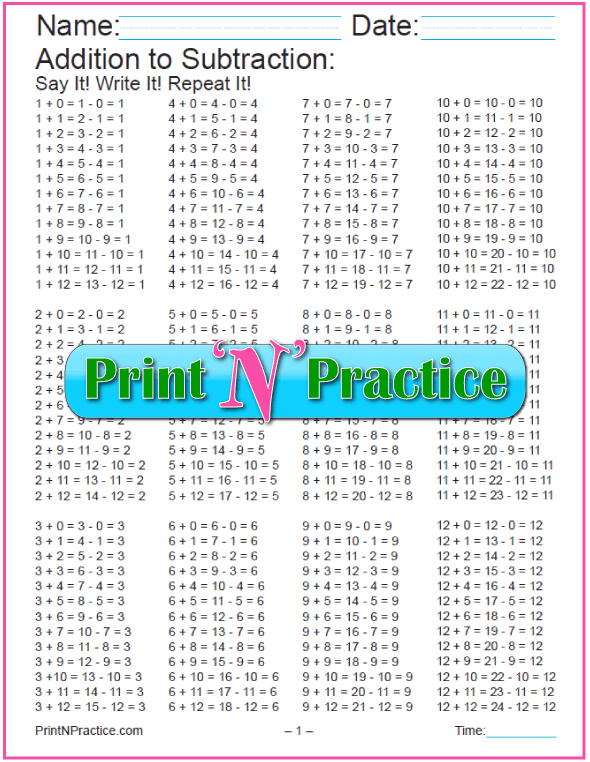 These can be printed double sided with answers on one side; or printed single sided as two sets, one with and one without the answers. 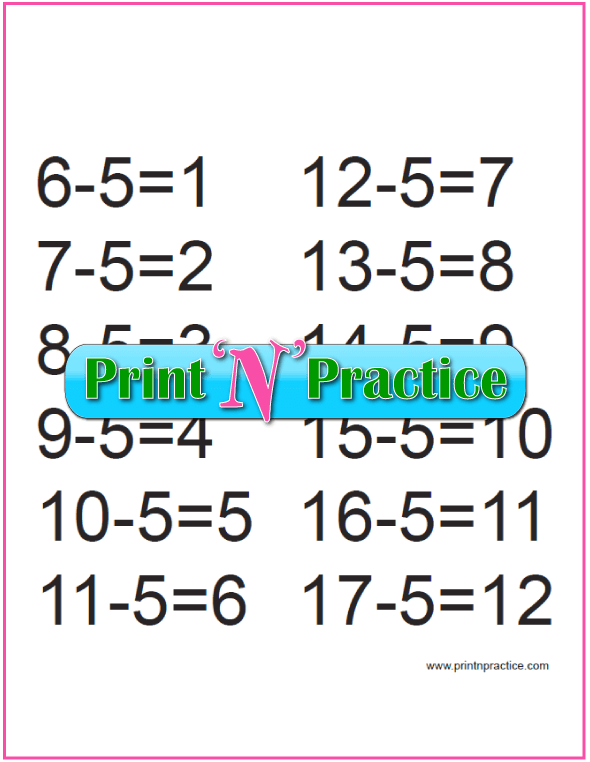 Use the side that has the answer to teach the subtraction facts as do our subtraction videos. 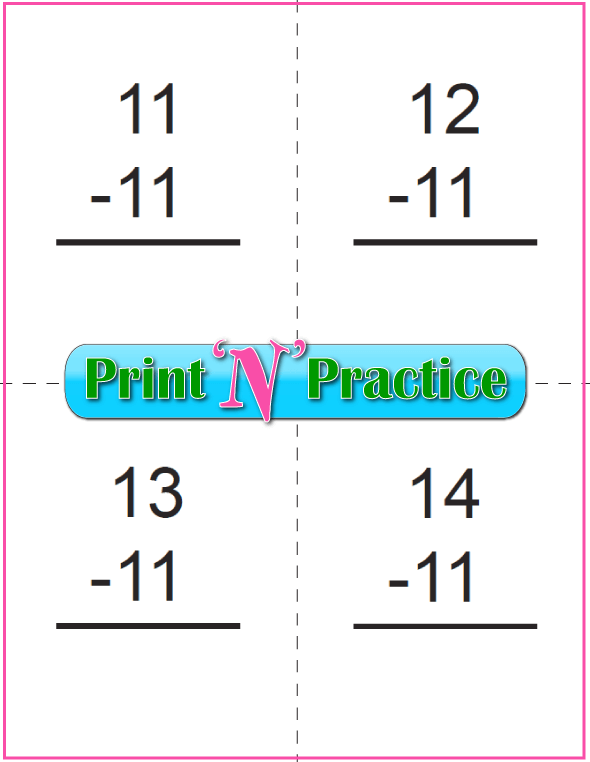 Then use the side of the printable subtraction flash cards without the answer for a subtraction quiz. 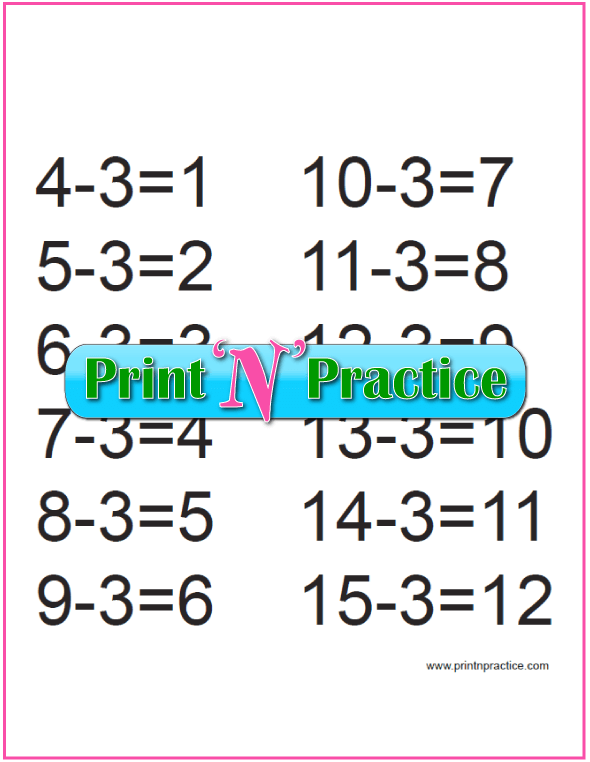 If they need more practice assign the kindergarten subtraction worksheets for practice. 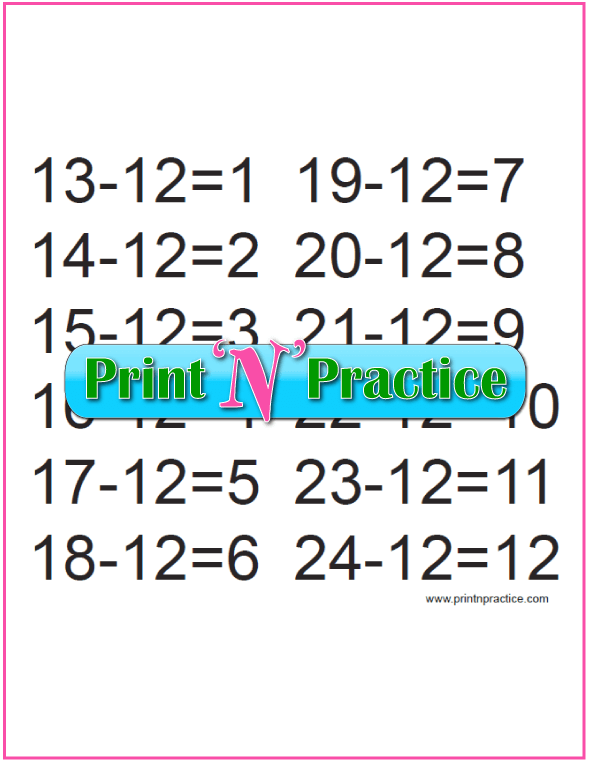 Our videos cover twelve of the subtraction tables and are simply the flash cards with the equations read out loud. There is no music and there are no ads. 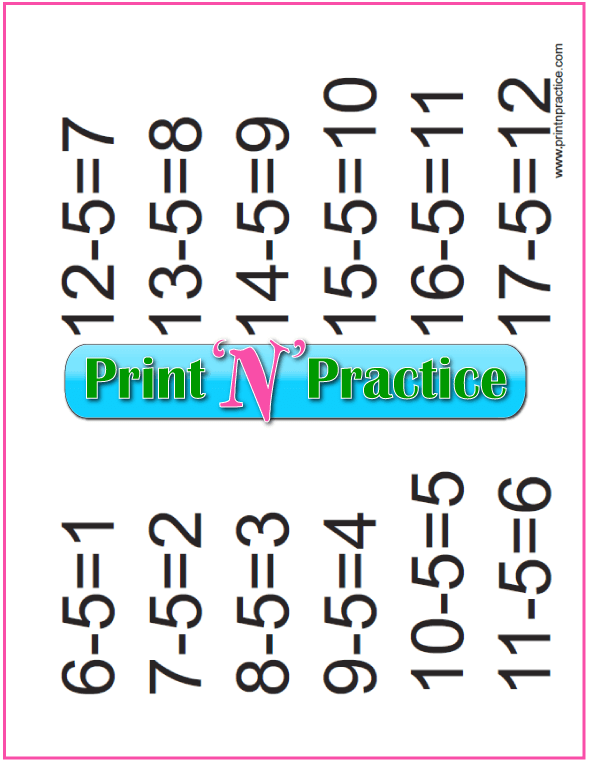 Your kids can bookmark these and practice subtraction with videos. 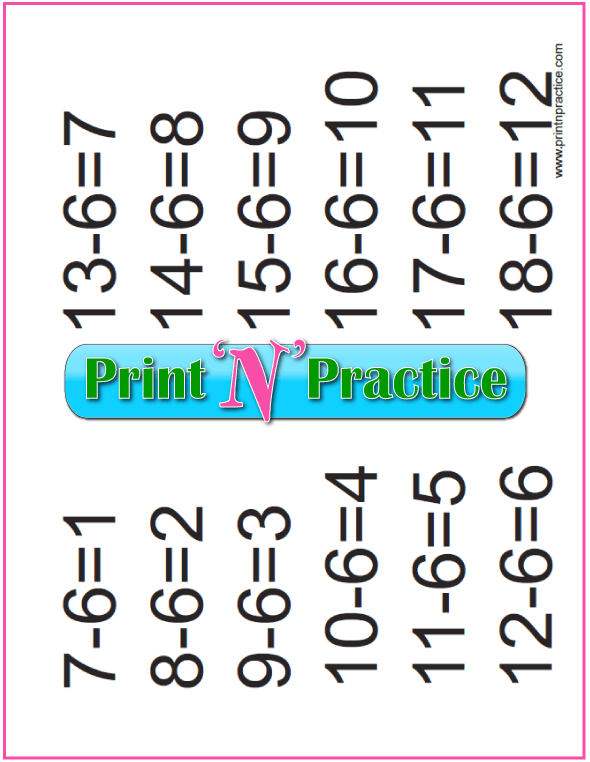 Use a large landscape subtraction chart from this collection or use them as Math posters for kids who are practicing with our kindergarten subtraction worksheets. 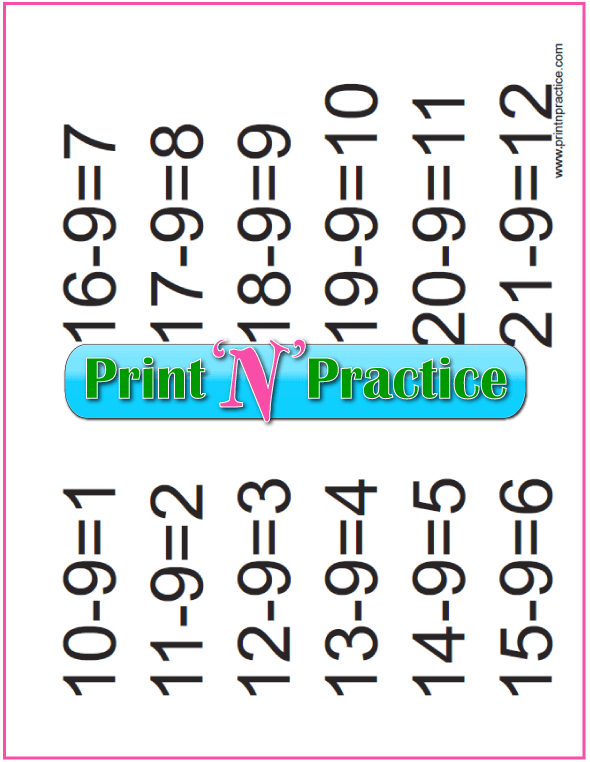 Hole punch and hang them like a calendar and change the page when your student knows the first tables. Or put these in a binder to use as a flip chart. 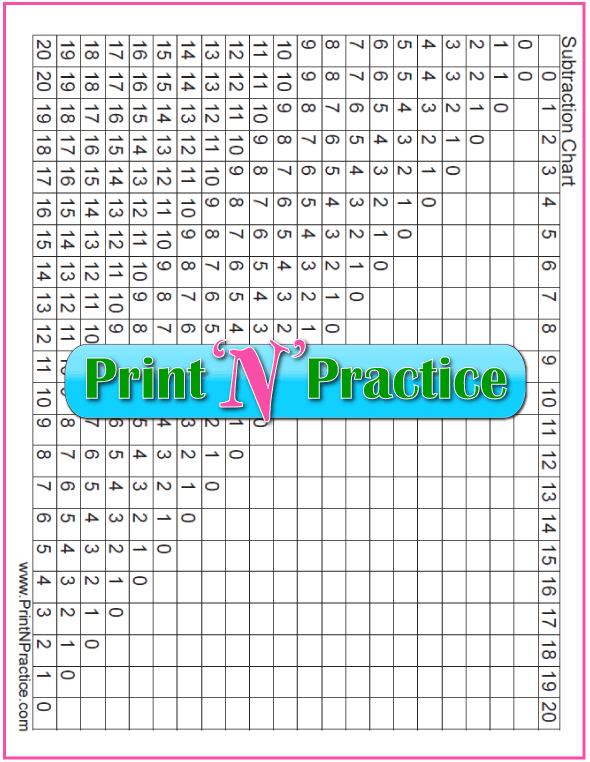 I've put a large space at the top of these large portrait subtraction charts to allow for the clip on a clipboard. 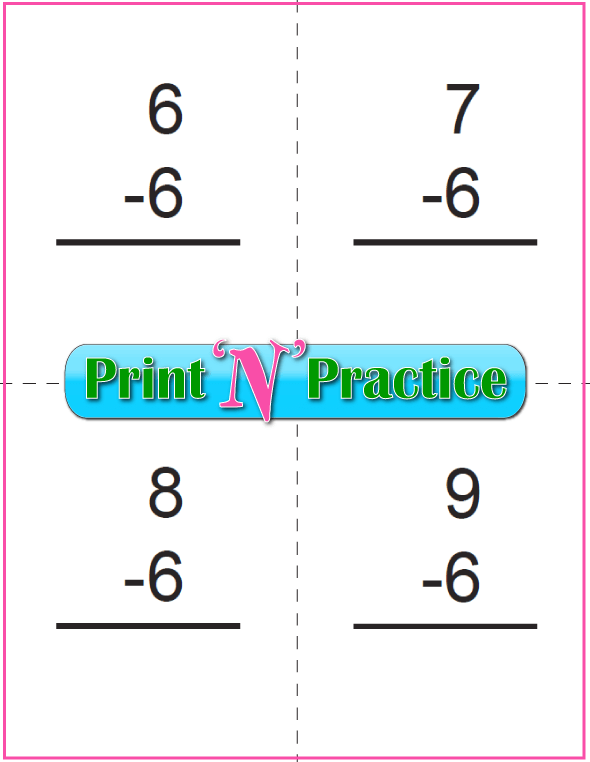 Use this collection as flip charts to show the subtraction equations to a group of students whether you're reviewing orally or using our kindergarten subtraction worksheets. The top is purposefully left blank for the clipboard's clip. 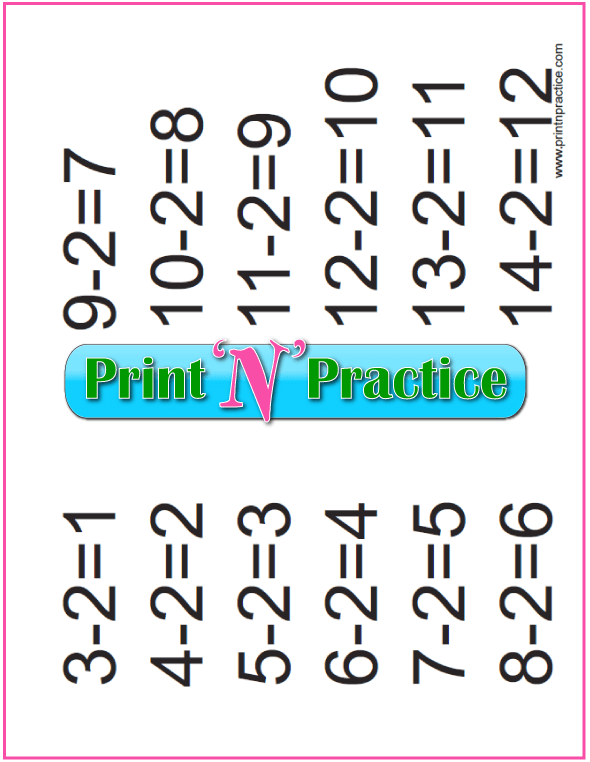 I love using these large Subtraction charts on a clip board to go around to my students to help them review whichever Subtraction table they are studying. It's much easier to carry the right page around to show the children or to pass it to them as they need it. It is fun to see the boost in morale when we have review time! Thank you for visiting our kindergarten subtraction worksheets!